previous: Mobile To Dominate Digital Ad Spend In 2016 | next: Are You Ready For Market Consolidation And MarTech Spending? 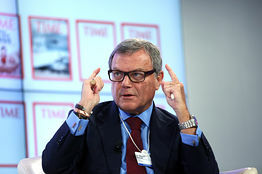 Martin Sorrell, chief executive of WPP WPPGY +0.44%, said at a Broadcasting Press Guild breakfast on Wednesday that clients and agencies may want to rethink the shift of ad dollars into online media at the expense of traditional outlets, The Times of London reported. Mr. Sorrell said that print media may be more powerful than people think. “There is an argument at the moment going on about the effectiveness of newspapers and magazines, even in their traditional form, and maybe they are more effective than people give them credit [for],” Mr. Sorrell said, as reported by The Times. According to The Times, Mr. Sorrell said recent research has found that traditional media can be more engaging and readers are likely to better retain information in print magazines and newspapers than with online and mobile content. Mr. Sorrell said advertisers in the future should look more at measuring engagement rather than time spent by a consumer. Mr. Sorrell’s comments mark a shift in his stance on traditional media. Mr. Sorrell in the past has said that clients were spending too much of their ad budgets on print media compared with how much time readers were spending with the medium. Now he’s indicating that traditional media may be worth the investment given readers’ engagement with the format.